We had vowed to rise early and get to the falls as they opened. Everyone we talked to had told us that was the best thing to do to beat the crowds and see the falls in all their glory. That’s no problem we thought, we’ll just get up, have a quick breakfast and grab a tuk tuk outside. All good intentions! Except it took longer than envisaged to find transport. We wandered down the main road, which was surprisingly devoid of any vehicles and wondered where all the tuk tuks were! Eventually we came across a guy leaning casually against one. “Where you go?” he asked, pushing himself off the van to approach us. “Kuangsi Falls today,” we replied. “Ah no problem, I take you,” he said, waving a hand at us and turning to guide us down the road… away from the vehicle that he had been leaning against. As we walked, we haggled. He was trying to charge us 150,000 kip each, which was way too much to pay! “50,000 kip,” we repeated again, watching him shake his head in disbelief at us. He wouldn’t let us go though and eventually we got to a nice flashy minivan. He opened the door and tried to usher us in. “No thank you!” we both replied at once. We started walking off down the street, with the sound of him huffing behind us. Who would have thought this would be so tricky! We kept walking and eventually came across another tuk tuk which looked like it was waiting around for something…or someone…! “Tuk tuk? We go to Kuang Si!” Ah ha, perfect we thought. There were already two girls in the back of the vehicle, so we thought we’d get a good price. Then out of nowhere, the guy who had tried to hustle us into the back of the van appeared and took over negotiations. We had already tried to get the journey for 50,000 kip each, so we just said 50? And he instantly agreed and hustled us into the back of the tuk tuk! Easy-peasy this time! The girls looked at us a little warily to be begin with, no doubt thinking that they had just paid for a journey they were not going to share. However, we exchanged introductions and the conversation flowed from there. We chatted for the entire journey there and back, they were such lovely, interesting and fun people and it was a pleasure to spend time with them! We didn’t get to the falls early in the end and we didn’t beat the crowds! But it didn’t matter, we had a great day anyway. I love these little interactions when travelling and the fact that you never really know what will happen next, or who you will meet! 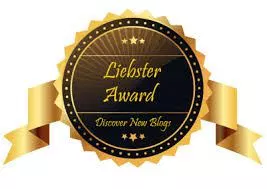 Next postThe Entertainer Blogger Award! I smiled reading this. Those types of interactions are priceless. They are aren’t they! I’m pleased it struck a chord, thanks so much for reading and commenting! Thank you for sharing these posts. I get excited when I receive an email notifying me of an update from you. I enjoy reading your style of writing. Haha, something similar happened to us when we were negotiating for Pak Ou Caves in Luang Prabang. It’s a little frustrating at the time but you can only laugh. Great story! The van might have been air conditioned, and possibly comfier, so that’s what you would pay for. I’m glad you were able to find something that suited your needs more, though. That is very true! It was just over our budget and we knew we could there more cheaply, even if it was in the back of the tuk tuk, that was fine by us!